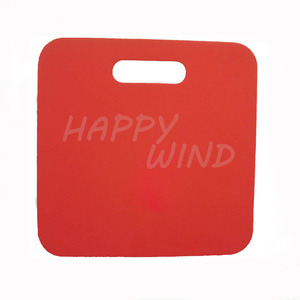 7 YRS Shaoxing Happy Wind Crafts Co., Ltd.
2017 new arrivals knee pads waterproof portable foam EVA seat cushion is beneficially good for promotion,advertise,gift and souvenir item made with nylon material with waterproof function and foam filled. ,Ltd Thanks for you choosing to make 2017 new arrivals knee pads waterproof portable foam EVA seat cushion Our company intergrated with fabric weave,print,stitch and pack depart. Our main product business focus on cushion and luggage cover,customizing what is the requirements. Heat transfer printing outdoor EVA foam stadium seat cushions item heat transfer printing outdoor EVA foam stadium seat cushions other choise material EVA shape dome shape any shape color white any color package 1pc/bag logo heat transfer printing , full color printing standard meet EN 71 and CPSIA eco-friendly sample charge USD180, courier charge collect sample time 7days delivery 40days Packaging & Shipping Package: 1pc/bag 60s/cartoon Shipping: Usually by sea, by air, by Fedex, DHL, or UPS We provide professional service, including excellent picture design, accurate sample making, high quality production and quick shipment service , we have been in this area more than 15 years. For quickest response please use skype or calling when contacting us. We love what we sell and we will be glad to answer all and any questions! Additional Styles Available Contact me if you have interests in our products! 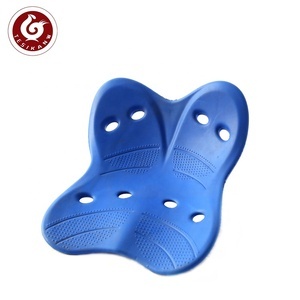 Welcome to SANSD Item name: Printed portable eva foam soft football stadium seat cushion We are the largest of eva foam,PE foam and rubber foam manufacturer in china with 30 years' experience. Printed eva foam soft football Stadium Seat Cushion is lightweight,easy to &middot; Our advantage: 1.Good quality and full control system 2.Reasonable price to make win-win cooperation 3.Prompt delivery and the best customer services OEM service are welcome &middot; Export Markets: North America, South America, Eastern Europe, Southeast Asia, Africa, Oceania, Mid East, Eastern Asia, Western Europe. For more information, pls visit our website or If you have any questions, pls do not hesitate to contact us. 1.Free artwork for your approval before making sample. 4.You may rest assured that Our sales man follow every step after arrange the production. 5.We can send clear image of sample for your confirmation or send it by our courier,then go for mass production after got the confirmation about the design. ,Ltd &loz; Product Features - Contoured molded seat cushion that evenly distributes body weight. &loz; High and Low Design - Contoured molded seat cushion that evenly distributes body weight. This Seat Cushion features a molded memory foam insert that will conform with the contours of your body. Body material eva Lining material any materials and colors available size any sizes available, we can make it upon your demand Logo we usually offer emboss, print, rubber patch, logo puller. we are specialized all kinds of EVA cases ,bags and boxes Our advantage &bull; Manufacturer specialized in EVA products &bull; 8 years experience, USD 400 million sales every year. &bull; Size, colors, materials, pattern, inner structure, accessory can be customized as your specific requirements &bull; The whole process from material to finished products can be traced. 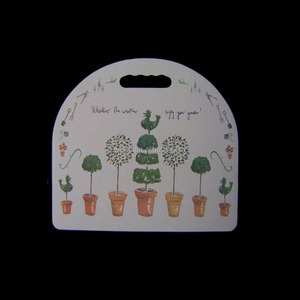 We usually provide existing sample for free. But a little sample charge for custom designs. How long is the sample LEAD TIME9 For existing samples, it takes 1-2 days. Outdoor EVA Foam Folding Camping Cushion Overall size:180*58*1cm Folded size:58*15*12cm Material:Eva foam Usage:Outdoor/camping Type:EVA Foam Cushion Features: 1.Material: EVA material, foam 2.Suitable for camping, beach, picnic, park, travel and other both indoor and outdoor situations 3.A great seat cushion to prevent your pants from cold, water, dust, sand, grass, etc. and keep it clean and dry 4.Compact and folding design, easy to carry 5.Exquisite workmanship and high quality fabric can protect your trousers from dust and water when you sit down on the ground after sport or in the park,camping. 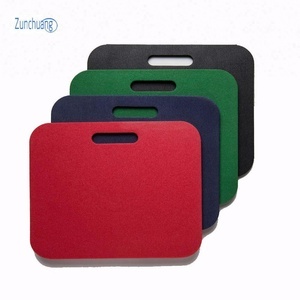 Art No: BLA-KC-004 Description: Home and Garden Kneeling Cushion Knee Pad Size: 50*30*5cm Colors: Solid colors or colourful colors can be customized Metrials : 100% polyester+Memory foam +Eva foam Packing: each pcs in plastic with card insert . Contact Details: Anna Zeng Xiamen Bella Home Furnishing Products co. ,ltd Wechat: 15980993756 Alibaba Trade manager: fjbella Tel: +86- 592 6379148 Fax: +86- 592 6376448 Mobile: +86-15980993756 Website: Cheapest price, greatest quality, best service, etc. 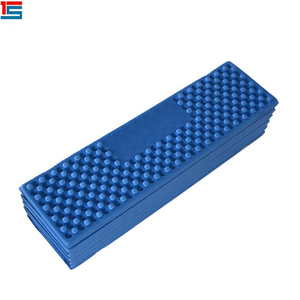 Alibaba.com offers 4,206 eva foam cushion products. About 12% of these are protective packaging, 7% are cushion, and 1% are pillow. A wide variety of eva foam cushion options are available to you, such as home, hotel, and beach. You can also choose from massage, anti-decubitus, and memory. As well as from square, rectangle. And whether eva foam cushion is nonwoven, or handmade. 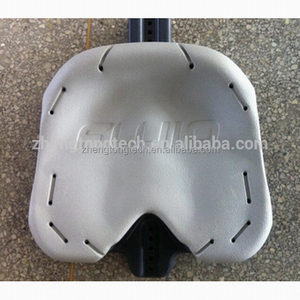 There are 4,206 eva foam cushion suppliers, mainly located in Asia. The top supplying country is China (Mainland), which supply 100% of eva foam cushion respectively. 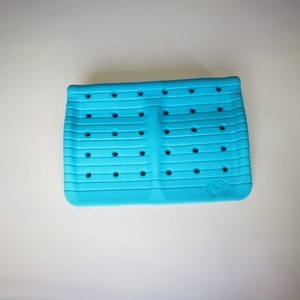 Eva foam cushion products are most popular in North America, Western Europe, and Domestic Market. You can ensure product safety by selecting from certified suppliers, including 910 with Other, 694 with ISO9001, and 134 with BSCI certification.